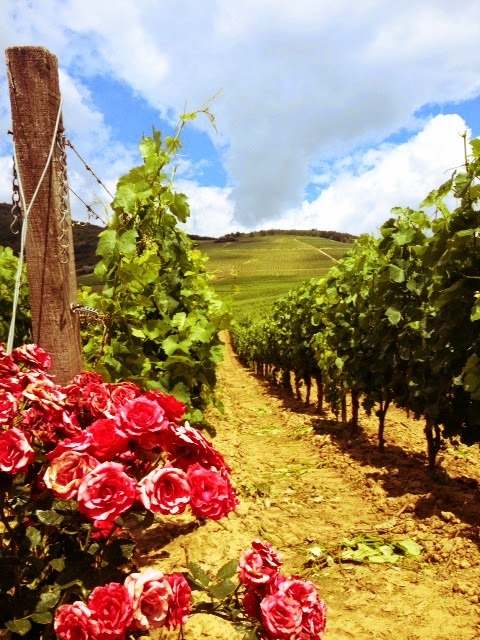 Sunshine and flower perfumes gleam among the vineyards. I like this pink-green scenery in Tokaj Hétszőlő Winery's slope. This is a tipical combination pleasant and useful, because rose bushes are planted next to the grapes, because it can indicate diseases early. And of course the because of the scenery and the fragrances! I took this pics last weekend, when we tasted some late harvest from Tokaj region. Some of them were creamy and honeyed like Tündérkönny 2011 (Tokaj Wine Trust Winery) and others are realy fresh and summery sweet like Katinka 2011 from Patricius Winery. I encourage everyone te be engrossed in world of Tokaj late harvests.